(CNS): A Cuban migrant drowned Saturday evening in rough seas off the coast of South Sound when the makeshift boat he and three other men were in capsized. Police said that they had received a report on Saturday evening that an 18 ft. vessel was floating near Sand Quay Island, South Sound and four people were in the water. Members of the public helped the men and brought them ashore but one of the migrants was unconscious. A doctor who was at the scene rendered CPR but he was unable to revive the man. The four were said to be on their way to Honduras and had attempted to seek safe harbour when they encountered the rough seas and their vessel was overturned by a strong wave. Officials stated that the three survivors are currently in the care of the Immigration Department and the circumstances surrounding the death of the Cuban migrant, identified as Manuel Marino, is currently under investigation by the Marine Dept. of the RCIPS. The men were reportedly got to shore clinging to two inner tubes with the help of local surfers before they were taken into the custody of immigration officials. Sources also say the local police had been watching the wooden sailboat during the day but took no part in the rescue. (CNS): The West Bay man shot outside a local bar Saturday morning has died and police have opened their first murder enquiry of the year just three days in. Victor Oliver Yates (22), who was found by police outside Super C’s on Watercourse Road early this morning, died at the George Town hospital from his injuries. Police have not revealed any details but are asking anyone with information to contact them as soon as possible at the West Bay Police Station on 949-3999. Police examined the crime scene for several hours Saturday and a number of shell casing markers were spotted outside of the restaurant. Uniformed officers also searched the grassy area at the rear of the restaurant adjacent to Boatswain Bay Road. The police, who were called to the bar at around 3:45 following a report of a man being injured, said Yates was found on the ground with at least one gunshot wound. He was taken to George Town hospital but died there later Saturday morning. Officers have not said what sort of firearm they suspect was used, how many bullets were fired, how many gunmen were involved or if they believe the crime is gang related. They are however seeking the assistance of the public who can also call the anonymous tip line CRIME STOPPERS on 800- 8477. A police spokesperson said a Family Liaison Officer has been assigned to the bereaved family. (CNS): Cayman saw its first road fatality of the New Year late Friday night when a car ran off the road and reportedly exploded in the vicinity of Songbird Drive and Ashton Reid Drive on Cayman Brac. Police are now appealing for witnesses to the crash that happened at around 11:40pm, when the male driver in the Honda Logo car, which was travelling south, lost control and swerved off the road. The vehicle struck a wooden fence post and reportedly burst into flames shortly after. Fire crews called to the scene extinguished the blaze but the body of the man, who is understood to be a resident of the Brac from Honduras, was found behind the steering wheel. Police have not yet identified the driver. (CNS): A serving police officer whose gun was seized at the airport as he went through security has not been arrested and is still on active duty, the police have confirmed. Inspector Lauriston Burton, who is a licensed firearms holders, was stopped by customs back in October when his gun was spotted in his carry-on bag. Burton claimed to have the firearm in error and was allowed to continue his journey without any arrest. Police have said an enquiry has been underway for the last three months but Burton has not been charged and remains on full active duty. In contrast, on several occasions last year visitors with gun license, mistakenly travelling with ammunition, were arrested, charged and fined as a consequence. According to Marlon Bodden, a former senior police officer who now heads up the enforcement arm of the customs department, when the gun and ammunition were spotted as the bag was x-rayed, it was seized. But Burton, originally from Jamaica, was not arrested and was allowed to continue his journey. The officer told customs staff that he had intended to drop the gun and ammunition with a named person on his licence for safe keeping during his absence from home but forgot. “This being the case, HM Customs made the decision, in consultation with the RCIPS, that this matter is best dealt with administratively. 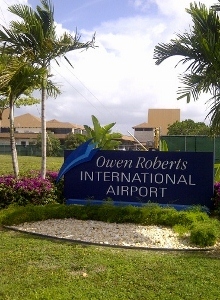 The firearm was retained by HM Customs and the matter referred to the RCIPS for further investigation,” Bodden stated. He added that Burton then continued his journey while customs took the weapon and the bullets. The police confirmed with CNS this week that Burton’s firearms licence has been suspended and an investigation is being conducted into the circumstances surrounding the officer’s possession of the weapon at the airport. This is a contrast to a number of arrests at the airport during 2014 where visitors to Cayman were arrested, charged, processed through the courts and fined heavily for their errors and lapse of memory. On four occasions licensed firearms holders from the US have been fined between $1000 -$3000, have been held in custody and had to hire lawyers or extend their stay to face the consequences of their carelessness in the local courts. Nevertheless, Burton seems to have so far been given a pass. After three months of investigation, aside from the suspension of his private firearms licence, there have been no other consequences for the serving police officer. The latest revelation from the police comes in the wake of the shocking revelation that an RCIPS police officer had been recruited to the service while being under investigation for murder. After being on required leave for two years, he was recalled back to work by Police Commissioner David Baines around ten months before his trial in Jamaica, where he was convicted. 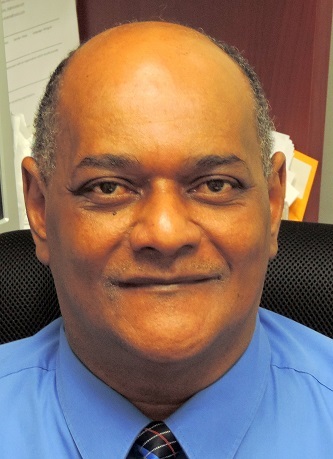 (CNS): The Assistant Director of the Department of Labour & Pensions (DLP) Robert Whittaker retired Wednesday after 24 years in public service. Whittaker was the longest serving employee at the DLP and officials said he has played a major role in significant change at the department over the years. This included the revamping of the Labour Tribunals in 2002, which divided the original body into six separate boards and saw the introduction of formal training for all new members. He also assisted in the establishment of the Conciliation and Mediation Unit in 2002, which separated the Complaints Section from the Enforcement Unit. Since 2000 Whittaker has served as Assistant Director and Senior Labour Officer. From 1998-2000 he worked as Senior Labour Inspector, and prior to that was Labour Inspector from 1991 to 1998. In 1998 he also spent time seconded to the Turks and Caicos Labour Office. For much of his tenure at DLP he also served as an ex officio member of the Immigration Board. 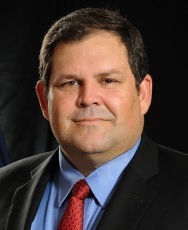 Acting Chief Officer in the Ministry for Employment, Christen Suckoo thanked Whittaker for his “exceptional commitment” to the Department and his outstanding service. “I wish him the very best in his future endeavours and hope he enjoys his retirement which he rightly deserves,” he added. (CNS): Dr Virginia Hobday (Clough) has been given an MBE in the Queen’s 2015 New Year’s Honours List. Dr Hobday was recognized for her services to hospice care in the Cayman Islands in the annual list of royal gongs. 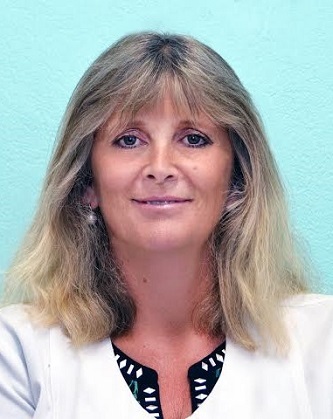 She is presently the medical director for Cayman Hospice Care and has served on the organisation’s board of directors since 2001. She was the only Caymanian to receive a mention on the honours list this year. More than a thousand people were recognised by the Queen mostly from the UK including celebrities, politicians and other famous faces. See full list here. (CNS): The country’s leader spoke about “amazing” opportunities for Cayman in his New Year’s message Tuesday. Premier Alden McLaughlin said his government would continue to build on what he described as it accomplishments over the past year. He said that during 2014 the economy had improved and there was a return of public and investor confidence. Admitting there was lots still to be done, he urged employers to take on more local workers in 2015, even if it meant training them, to help government address the ongoing employment problem among Caymanians. He said that much of the growth in the economy and employment expected next year would depend on development projects by both government and the private sector. McLaughlin said that the PPM government’s negotiations with Dart to amend the terms of the NRA agreement were on the right track, although after some 18 months of talks there was still no deal for the premier to announce in his New Year message. “Our discussions continue to be meaningful and productive and I am confident that we are now near the end of this saga,” he stated. In addition to the much anticipated construction projects which the current administration, like the last, sees as the answer to getting Caymanians back to work, the premier said government would continue to grow and support the main economic pillars of tourism and financial services. Talking about the need to fight crime and “stamp out the scourge of armed robberies”, he pointed to the importance of creating job opportunities and helping people find work as a major goal of the administration. “I again appeal to employers and business owners, especially as the economy continues to improve, to give more Caymanians employment opportunities, even if that means that you need to train them. Government is doing its part to create the environment that allows businesses to succeed and to provide educational and training opportunities for potential employees. But we do need greater involvement, investment and commitment to hiring Caymanians from the business community if we are to return to full employment,” McLaughlin urged. Describing himself as an optimist, the premier said he believes the future of the Cayman Islands is bright. “The sense of certainty and confidence we felt at the beginning of 2014 continues to gain momentum and is taking us into 2015. We are only going to get better and better,” the premier promised. 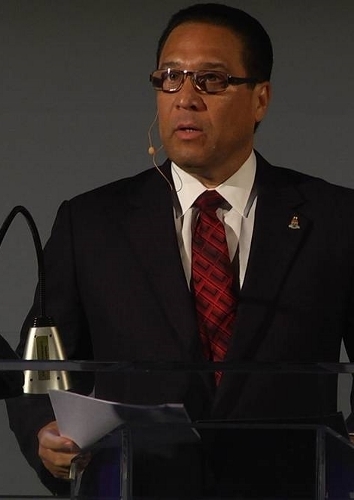 He took aim at the press, however, for what he described as the “negativity about all things Cayman and Caymanian that has unfortunately become the stock-in-trade of certain media houses” and said Cayman is still one of the best places in the world in which to live. “There is much to celebrate about this country. My prayer is that in the New Year, the positive things about Cayman and Caymanians, the things which make us unique and attractive to the rest of the world, could be given even half the prominence in the media as is given to the bad news stories. There is much good in these Islands and its people. It would be good to see it in a news story now and again,” he lamented. “There is much to be done,” the premier acknowledged, adding that the road ahead will not be all smooth but said he was confident government would meet the challenges head on. (CNS): Following the revelations on Cayman News Service Tuesday that the National Drug Council was unable to find backers to support the annual New Year’s Eve Purple Ribbon Bus, three last minute sponsors came forward yesterday afternoon and the service will now run. Cayman National Bank and Jacques Scott stepped up with the first part of the cash required, and the Health City Cayman Islands topped up the amount to enable the government agency to run the free service that helps keep the roads safe following the NYE celebrations. The police had raised their concerns that the service was not running as the buses carry well over a thousand people home safely. The NDC said the bus will now run from 9pm on New Year’s Eve until 4am on New Year’s Day. Having found the sponsors at the last minute following the CNS story, this will now mark the 14th year since the inception of the programme aimed at reducing the number of drinking and driving incidents. “We know that many of our residents and visitors make every effort to drink responsibly or designate a driver. However, there are still many people who remain confident in their abilities to drink and then drive safely, regardless of the evidence and information available which clearly indicates the negative impacts of drinking and driving,” said Joan West-Dacres, the NDC director. There will be approximately six buses from Reid’s Premier Tours running a regular route from West Bay to George Town on New Year’s Eve between the hours of 9pm and 4am, with intermittent travel available to the Eastern Districts of Bodden Town, East End and North Side. 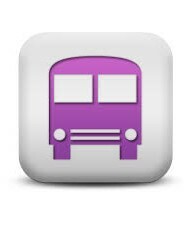 The buses will display Purple Ribbons on the front and will pick up passengers at all major restaurants, bars and nightclubs, or at regular bus stops on the route. If you see a bus approaching you can signal the driver for a pick up. “On behalf of the National Drug Council, I wish to again extend our appreciation to our sponsors of the 2014 Purple Ribbon Bus Service, Health City Cayman, Jacques Scott Group Limited and Cayman National Bank. I would like to encourage each of you to take advantage of this opportunity to ensure you arrive home safely. The NDC wishes you a SAFE and Happy New Year,” said West-Dacres. (CNS): Since it open in February 2012, the star gazers at UCCI, led by Observatory Director Dr Bill Hrudey, have been documenting the sun. Producing some important observations, Dr Hrudey is keen to encourage more people to get involved in astronomy. In addition to working towards the STEM conference at the UCCI next spring, he will also run an astrophotography course every Tuesday evening, starting 6 from January, with a solar session to be scheduled on a Saturday morning. A comprehensive course for beginners and intermediates, it will be held in the observatory classroom and cover star trails, wide field, solar, lunar, planetary and deep sky objects. Hundreds of school students, from pre-K to seniors, have toured the observatory and been impressed with images taken through the various telescopes. A number of service clubs have also visited, in addition to guests of the university from off-island. Dr Hrudey is onsite almost every day capturing solar images in the hydrogen alpha band with the Lunt 60 double stacked solar scope. 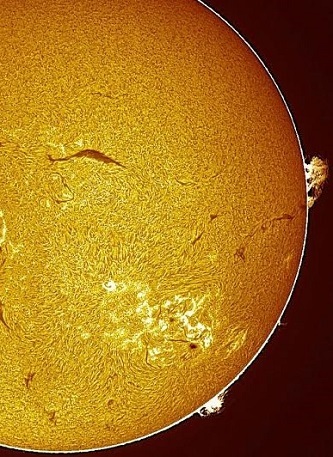 This telescope is specifically designed for solar observations and captures many of the impressive details on our very dynamic sun. 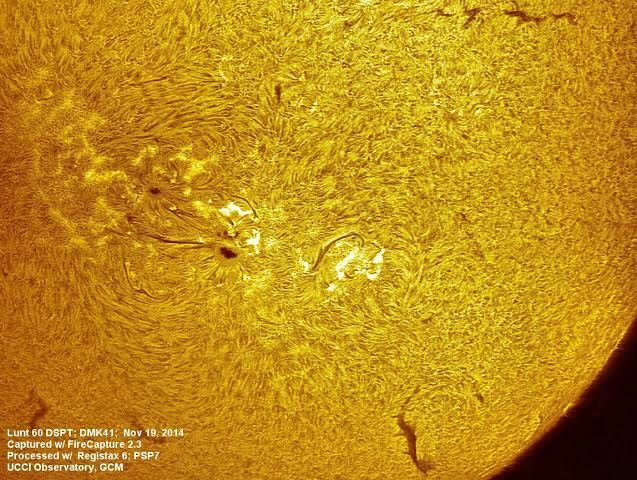 In the last year, two of the largest sunspots on record have been imaged and are included in the massive library of solar images. Although it does not have the biggest telescope in the Caribbean, it is one of the most sophisticated collection of computerized and imaging equipped facility capable of research level activities. Anyone interested in signing up for the astrophotography course should contact Dr Hrudey as soon as possible as seats are limited to 15 people only. Tuition is $150 for the entire semester and students should bring an 8 gig thumb drive to the first class to download software and practice files. They should, if possible, have a DSLR with interchangeablelenses and be fluent in Windows. For further information, please contact Dr Bill Hrudey, at 327-1892 or whrudey@candw.ky.